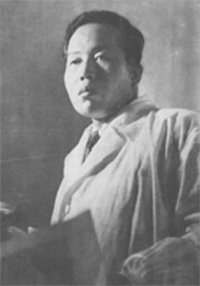 In 1962, Bong-Han Kim, a North Korean medical surgeon at Pyongyang Medical University, published the first scientific evidence of the structures that correspond to the acupuncture meridians. After three years of further research, he published the present book, which is a complete account of his findings. This current edition contains the complete text of that 1965 book, including over 100 colour photos and diagrams. The book describes a range of completely new anatomical structures, including node-like structures at the acupoints, connected with fine vessels which extend to the internal organs, and also exist within blood and lymph vessels and throughout the nervous system. These structures are reported to circulate embryonic-like cells which transform into the various cells required by our body’s organs and tissues and which are circulated in this “meridian” system to complete their transformation. And the purpose of the entire system is said to be the continuous repair and regeneration of key cells in our organs and elsewhere. To date, every one of Kim’s procedures that have been reproduced by other researchers have confirmed his claims. However the scope of his work was tremendous and many aspects of it have still not been investigated or reproduced by other researchers. This is an extremely important book and is a fascinating read for any practitioner or student of acupuncture or biology. 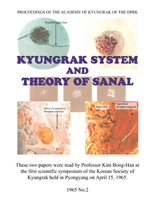 In 1962, Bong-Han Kim (born 1916), a North Korean medical surgeon at Pyongyang Medical University, published the first scientific evidence of these structures. He was then appointed director of the North Korean National Academy of Kyung-Rak (“Kyung-Rak” is the Korean term for meridian). And up until 1965, he produced four further articles detailing his extensive research into these structures. His findings were detailed most thoroughly in his last two books, “On the Kyungrak System”, 1963, and “Kyungrak System and Theory of Sanal”, 1965, which were both translated into English. Near the start of his research in 1962, the North Korean leadership awarded Bong-Han Kim the People’s Prize for his work. But not long after the publication of his 1965 book, the Kyung-Rak Institute was inexplicably closed and Kim was not heard of again.